Sharp has unveiled a new 27-inch IGZO 8K IPS monitor at CEATEC Japan 2016. The display has 7,680-by-4,320 resolution with the pixel density that rivals modern smartphones. 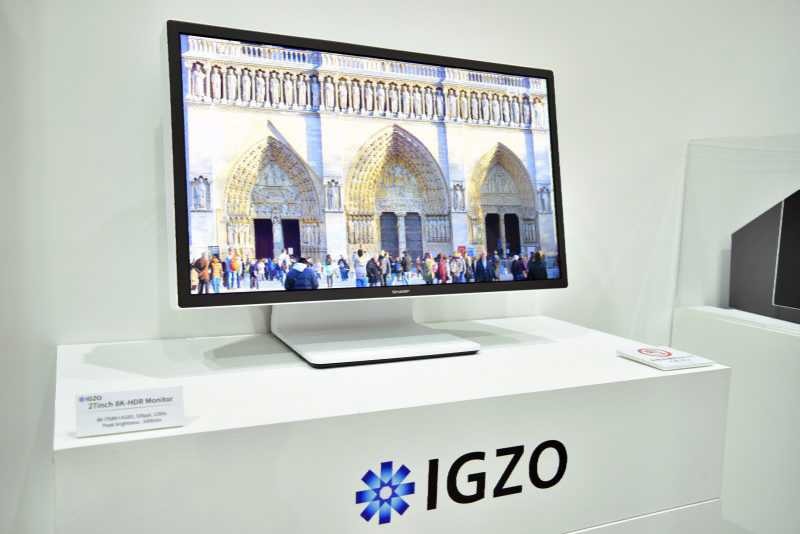 The new Sharp IGZO 8K monitor also features a refresh rate of 120Hz, HDR support, and 1,000cd square m. brightness. The new monitor back panel features Xbox One S style cover. Sharp IGZO 8K monitor unit requires multiple cables in order to drive the panel’s 120Hz refresh rate at 8K. There is no details regarding price and released date.